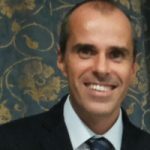 Claudio has joined RD-Connect in February 2014 becoming part of the team in Rome working on rare disease databases and patient registries. Claudio has focused his university studies in the field of Biology and has a PhD in Biomedical and Cytomorphological Sciences. His previous research has focused on the molecular basis of RASopathies caused by mutations affecting genes involved in the RAS-MAPK pathway and in particular on the identification of new disease genes for Noonan syndrome and LEOPARD syndrome using an approach for candidate genes before and then through exome sequencing. Since October 2012, he has been working as researcher at the National Center for Rare Diseases, Istituto Superiore di Sanità. His current work focuses on data management for rare disease registries and particularly on how to make registries interoperable with other registries, biobanks and bioinformatics data using a “data linkage approach”. He is author and co-author of several scientific publications.